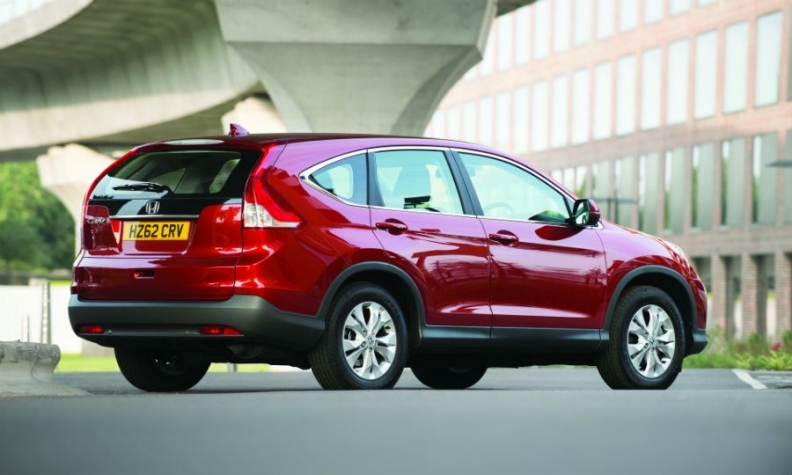 The CR-V, Honda's best-seller in Europe, will be imported into the region from Canada. Honda will upgrade its U.K. factory to turn it into a global production hub for the next-generation Civic compact car. The automaker will also transfer production of its European market CR-V compact crossover to Canada from the U.K.
Honda will spend more than 200 million pounds ($296 million) to upgrade its plant in Swindon, 80 miles west of London, the company said in a statement today. The investment will secure the medium-term future of the underutilized factory. The factory will build 120,000 Civics a year with half of production sold in Europe and the rest outside Europe, a Honda spokesman said. The plant has a 250,000 annual capacity but built just under 120,000 cars last year. Honda did not comment on whether it will export Civic hatchbacks to the U.S. from the Swindon factory. Japan's Nikkei business paper reported earlier this month that the plant would export 30,000 to 40,000 Civics a year to North America. The paper did not specify whether the U.S. exports would include the high-performance Civic Type R. Honda stopped selling a hatchback Civic in the U.S. in 2005. As the Swindon plant builds more Civics, production of the next CR-V will be moved to a factory in Ontario for export to Europe, Honda said, marking the first time that its Canadian arm will export vehicles to Europe. Honda said the export plan is made possible by the company's prior investments in its plants and it will therefore not require significant capital investment. Honda's Canadian manufacturing operations can produce up to 390,000 Civic and CR-V models, and 260,000 four-cylinder engines annually. "The negotiation of a free trade agreement with Europe by the Government of Canada under CETA (the Canada-European Union Comprehensive Economic and Trade Agreement) was a catalyst for our decision to export CR-Vs," said Honda Canada CEO Jerry Chenkin, in a statement. The CR-V is Honda's best-seller in Europe with sales of 6,085 in the first two months, down 18 percent, according to JATO Dynamics market researchers. The Civic, Honda's No. 2 model by sales in the region, had a volume of 5,913, down 10 percent.